Do you have performance problems on critical applications? Are users complaining about slowness at certain times of day? Do you need to know and accurately measure the quality delivered to users? Call upon our team of experts to perform an application performance audit to quickly diagnose your performance problems. ip-label consultants are trustworthy third parties within the digital world providing impartial expertise and insights into all of your performance issues. Our application performance audits provide a factual, metrics-based analysis of application performance. Thanks to our objective measurements you can clearly identify scopes of responsibility and focus your efforts on high-stake issues to improve application performance. ip-label’s position as a trusted third party lends credibility to the action plan you build on the basis of our recommendations. Application performance audits are carried out with tools developed by ip-label combing synthetic monitoring (active), real-user monitoring (passive) and application troubleshooting methods. The synthetic monitoring method specifically offers injection of scenarios at regular intervals and a baseline for monitoring service levels (SLA). The real-user monitoring approach specifically offers analysis of the performance of real traffic and multiple-criteria discovery (location, device, etc. ), as well as a detailed view of execution paths all the way from the server through to the database. 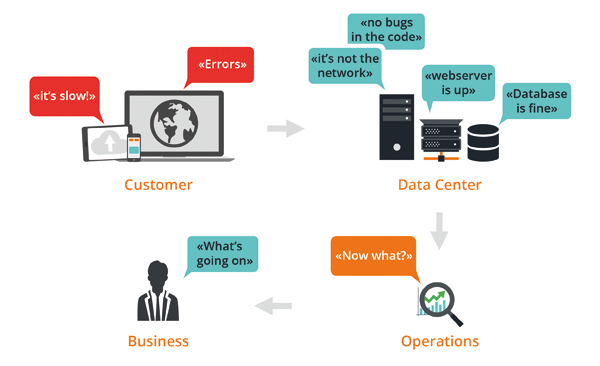 The application troubleshooting approach pinpoints errors fast, down to the lines of code that are causing your applications’ poor response times. The audit monitors 100% of the traffic that your users generate on the server. Consequently, you gain a precise diagnostic of malfunctions and a full view of the application performance of your platform. Audits cover a wide range of technologies (Java, PHP, .Net, TCL, Python, Cobol, etc) and offer fine analysis of a variety protocols (HTTP, JDBC, DCOM, MQ, etc).